Rally driver and Internet superstar, Ken Block, is trading in his Subaru WRX rally car for a Ford Fiesta rally car. 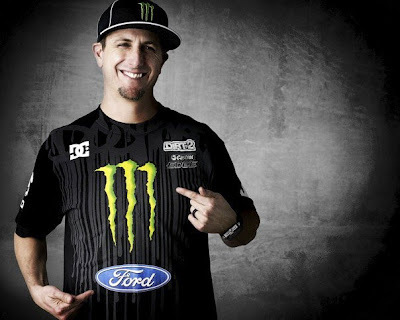 Block signed with Ford and also has Monster Energy Drink, DC Shoes (of which he co-founded), Dirt2, and Castrol. Perhaps even bigger news is that Block will be competing in the famed World Rally Championship aka the WRC in a Ford Fiesta. This will make him the first American to compete in the series. Now that's pretty sweet.